We hosted a data visualization contest as part of the EC-funded Web-COSI project that ran during the summer with the deadline on August 24th. The challenge was to create a data visualization that communicated key statistics about well-being and sustainability to a broad audience. The contest was open to anyone, but there was a specific prize reserved for a winner under the age of 26. The submissions were judged on their clarity and rigour, concept, and originality. We would like to thank everyone who entered the Wikiprogress “Visualizing Well-being” Data Viz Contest over the summer. We received so many entries of high quality and we are delighted to be announcing the winners, who will be joining us at the 5th OECD World Forum in Guadalajara next month. The contest was held as part of the Web-COSI project, which aims to improve people’s engagement with statistics beyond GDP. We particularly wanted to encourage young people to participate and offered a special prize for under 26-year olds. In the end, two of the winners were under 26 at the time of the competition and one had just turned 26! The entries were judged with respect to clarity, concept and originality by our expert jury consisting of Kim Rees, Stefanie Posavec and Moritz Stefaner. The jury was very pleased with the diversity and inventiveness of the applications. The goal of the contest was to use creativity to communicate key statistics about well-being and sustainability to a broad audience. To see more information about the winning entries, please head over to the winner's page on Wikiprogress. The winners of the contest will receive a free trip to Guadalajara, Mexico to attend the OECD 5th World Forum in October. If you are interested in following the discussions at the 5th World Forum, you can watch via live webcast on the official website during 13-15 October. A huge thank you to our judges and to all of the contestants who sent in their work. We were overwhelmed by the number of entries we received, and the standard was very high in terms of design and originality. The deadline for our data viz contest is August 24th. This blog post offers some helpful tips for those interested in submitting a creation to the contest. There will be three winners of the contest and winners will receive a free trip to Guadalajara, Mexico for the OECD 5th World Forum. We are in the home stretch of our data viz competition! Don't panic! If you haven't started your submission yet, you still have plenty of time to do so. 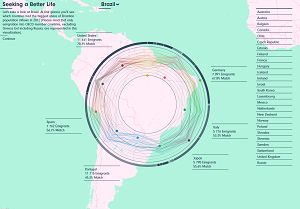 Even if you have never done data viz before, we strongly encourage you to apply! Don't let the "data" part intimidate you; all you need is a good imagination and strong communication skills! The main goal of this contest is for you to use numbers to tell a story about well-being in the world today. By well-being we mean anything that is important for people to have a happy, fulfilled and productive life. Well-being is a broad and subjective topic, so we don't expect you to cover everything. We suggest picking one or more themes to focus on, as long as they relate to people's current or future well-being. 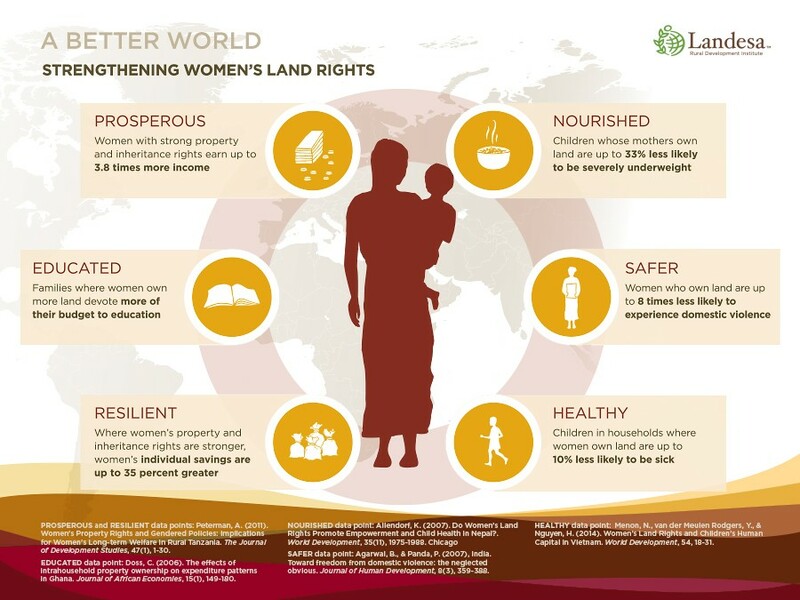 Examples of these include: education, happiness, health, peace, poverty, work, environment, or freedom. 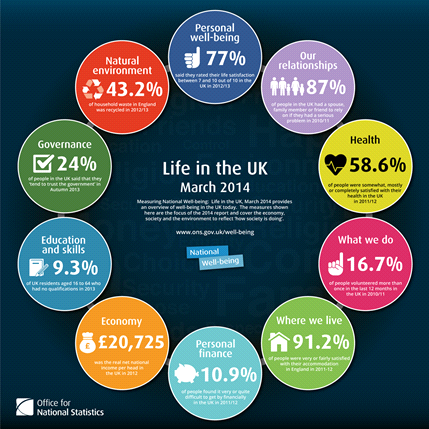 The choice of topics is up to you, as long as you can find reliable statistics to help you tell your story! Since well-being and sustainability are such broad topics, we understand that it can be hard to know where to start. We have some suggestions to help you narrow things down and pick your topic. Pick a theme (such as poverty or health) and select statistics that help to give insight into that topic in a country, or across a group of countries. See, for example, the OECD Better Life Index or the UN Sustainable Development Goals for some inspiration of key topics related to well-being and sustainability. Look for inspiring or interesting statistics on the websites of projects that produce indicators (or indices) of well-being. Examples include: The Global Peace Index, The Global AgeWatch Index, Multidimensional Poverty Index Data 2015, and Environmental Performance Index. Many more can be found on Wikiprogress. As the main goal is to tell a story using statistics and pictures, we suggest producing a static infographic that could view well as a poster or a 1-pager in a newspaper. If you are more experienced, then you can chose to create a more complex visualization requiring more processing of the data and/or technical development, such as an interactive visualisation. From 17 June - 24 August, Wikiprogress will be running a Data Visualization Contest, "Visualizing Well-being" with the chance to win a trip to Guadalajara, Mexico to attend the 5th OECD World Forum. 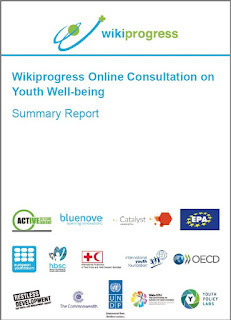 The Summary Report of the Wikiprogress Youth Well-being Consultation is also now available. There are a couple of big announcements to make on Wikiprogress this week. 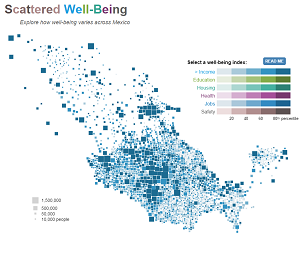 First of all, we are running a Data Visualization Contest over the summer called "Visualizing Well-being", with the prize for three winners of a paid trip to Mexico in October this year to attend the 5th OECD World Forum. 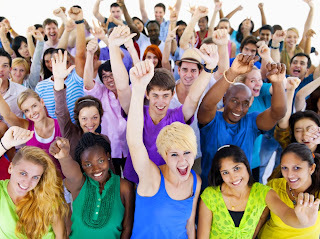 The aim of the contest is to encourage participants to use well-being measurement in innovative ways to a) show how data on well-being give a more meaningful picture of the progress of societies than more traditional growth-oriented approaches, and b) to use their creativity to communicate key ideas about well-being to a broad audience. The competition is open to all individuals, both amateurs and professionals. We particularly want to encourage the participation of young people and at least one of the prizes will be reserved for under 26-year olds. To find out more, visit the contest website here. The first Wikiprogress Online Consultation was a big success and we thank all of you who took part. The consultation had around 300 registered participants and over 500 comments. A summary report was produced, summarising some of the key points made in the consultation, and can be downloaded here. The consultation findings and aspects of Youth Well-being more generally were discussed at a special session at the OECD Forum in Paris on 2 June. Marianna Georgallis, Policy and Advocacy Officer from the European Youth Forum (one of the consultation partners) outlined some of the main issues and led the discussion. The session, titled “What Does Youth Well-Being Really Mean?” was attended by around 50 people from the Forum, with many youth participants, and there was a lively discussion around the questions raised by the consultation. Studying youth well-being is important because a half of the world’s population is under 30 years old. Defining “youth’ is not straightforward as youth is a period of transition from childhood to adulthood, and from dependence to independence. For some youth means under 24 years, for others under 35. While youth age bands are somewhat arbitrary, there is nonetheless a need for greater precision when talking about youth and their needs: the needs of under-10 year olds are not the same as a 25-year old, for example. Young people’s rights need to be strengthened as regards a labour market which depends heavily on the labour market: remuneration and opportunities for learning need to be improved and prioritised. To read more on the consultation, download the report here. Update for the Wikiprogress online consultation on Youth Well-being: Last few days to contribute! The first Wikiprogress online consultation on Youth Well-being has gained a lot of momentum with over 400 comments to date, and we have decided to extend the deadline for commenting an extra few days to the 15th May. As we’re nearing the end of our consultation, we’re keen to hear what you think our key policy recommendations should be to tangibly improve well-being for youth. Sign up and contribute your opinion here: http://bit.ly/1OwPqdd. The post below by Laura Gillies of Bluenove, one of the moderators of the discussion highlights some of the key points in the discussion so far. We look forward to hearing from you! Youth have many ideas and seem willing to engage but they are often not taken seriously. How can we fix this? Social media seems to have great potential as a space for dialogue, a place where new 'visual' languages can evolve, and a repository of data that can be analyzed to improve youth well-being, but it is often currently seen as a place for shallow dialogue. Can it be better used for youth well-being purposes? As we’re nearing the end of our consultation, we’re keen to hear what you think our key policy recommendations should be to tangibly improve well-being for youth. Below are some of the main points discussed in the consultation in the last week. What can be done to help youth gain more influence? The responsibility for youth well-being policy is shared between many different actors including NGOs, parents, the corporate world, governments, etc. How can these actors be convinced to take youth well-being more seriously? What are some other ways we can incentivize youth to participate? This generation of youth are more connected than ever via online platforms. What are the possibilities for harvesting and analyzing the vast amounts of public data that can be found on social media? What is the potential for this type of data in determining what is important for youth well-being? This week the topic of inter-generational issues was discussed in greater detail. Some key ideas emerged including how to bring older generations on board with the new ideas of youth and how to incorporate the wisdom of elderly generations in the process. This was put into the context of paths to efficient governance for youth, and the idea of inter-generational mentoring programs was raised. This week the idea that employment problems for youth is an issue that is impossible to solve was raised. Do you believe this is true? The idea that having an education system that values professional training rather than formal degrees may help with employment was also raised. We strongly encourage you to add your thoughts to the debate, and regularly check back and see how the debate is progressing! Thank you again to everyone who has contributed thus far! We look forward to hearing from you in this final week! Social and emotional skills play an essential role during all stages of life. 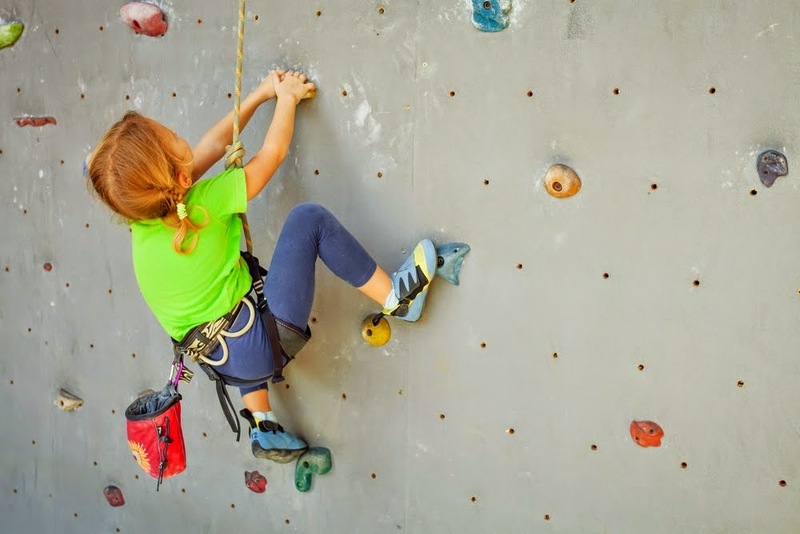 Along with cognitive and learning abilities, it is equally important that our youth develop social and emotional skills in order to balance and ground their personalities and strengthen their characters. This blog post on a new OECD publication, "Skills for Social Progress", was written by Lynda Hawe of the OECD Directorate for Education and Skills, as part of our focus on youth well-being during the Wikiprogress online consultation on Youth Well-being. As we know from personal experiences, when we feel a deep sense of well-being we are far better able to absorb new information, take risks and be more responsible for our lives. Now don’t we want that for all youth? But growing-up can often be quite a challenging period. Ensuring that youth have a wide variety of skills to help them cope with some of life’s challenges may not always occur naturally. Sometimes they will need help in building social and emotional skills - which are the kind of skills involved in achieving goals, working with others and managing emotions. Social and emotional skills play an essential role during all stages of life. Fundamentally, along with cognitive and learning abilities, it is equally important that our youth develop social and emotional skills in order to balance and ground their personalities and strengthen their characters. Some examples are: Perseverance, which is the ability to keep going when things get tough and rough (like when the sports teacher demands that you to run another 10 laps of the pitch and you already feel exhausted). Caring, which is the capacity to be kind to others and to be able to show and feel empathy (when you support an upset friend by listening and comforting them, irrespective of other priorities or personal time constraints). Self-esteem, which means being able to feel good and being proud of your personal achievements, and comfortable with your physical appearances (regardless of any unpleasant comments from peers). Luckily, some of these skills are flexible and adjustable when growing-up. This allows opportunities for policy makers, teacher and parents to provide the right kind of learning environments, in order to support and nurture them. The book Skills for Social Progress: The power of Social and Emotional Skills addresses the importance of these types of skills to enhance and balance lives. It confirms international research studies that validate the need for a steady set of cognitive, social and emotional skill in order to succeed well in life. In the past, we often thought that these types of skills couldn’t be successfully quantified. In contrast, this report demonstrates that they can be measured meaningfully, within cultural and linguistic boundaries. Additionally, the OECD will develop more measures and design an international comparative framework, in order to better grasp youth’s current and future needs for social and emotional skills. Consequently, this report supplements the reflection on how future policies could best encourage and nurture the development of social and emotional skills, of course, working closely with parents and teachers. Not surprisingly, we need a wide range of diverse skills to contribute to the economy, support better social outcomes and build more unified and tolerant societies. Cognitive abilities such as literacy and problem-solving remain crucial. Nonetheless, youth with strong social and emotional foundation skills thrive better in a highly dynamic labour market and rapidly changing world. Investing in these skills will be central to addressing numerous socio-economic challenges, and for ensuring prosperous, healthy, engaged, responsible and happy youth. From the 30 March to 8 May, Wikiprogress will be running a 6-week online consultation on Youth Well-being in co-operation with a number of partners. This consultation will be quite different from previous discussions held on Wikiprogress, and the aim will be to cover a very wide range of topics in as much detail as possible in order to produce a report for policy makers and practitioners. We intend for the results of the consultation to be presented at the OECD Forum in Paris in June – and we are counting on your participation to make sure we have as wide a range of contributions as possible. Register for and access the consultation here. There are more young people living in the world today than at any time in human history and there is an urgent need to better meet their needs through more effective policy-making and societal action. Last December, Wikiprogress held a 2-week online discussion on Youth Well-being Measurement and Policy. We were overwhelmed by the reaction to this topic, and it was quite clear that there was much more to discuss than the usual format allowed. From Monday 30 March to the 8 May, we will be running an online consultation to explore in more detail the many questions raised by the December discussion. In order to this, we are experimenting with a new open-source tool, which will allow us to bring more structure to the conversation, and keep track of the key ideas that emerge over its 6 weeks. Those who have taken part in previous Wikiprogress discussions will notice that this consultation looks quite different from our usual discussion pages. The idea is that by using a tool that has been specially designed for large-scale online debates, we will be able to organise contributions by theme and by question, making it easier for people to participate in the areas that most interest them. It will also make it easier to highlight key points and summarise pertinent information when it comes to communicating the knowledge gathered to policy makers. Every week we will produce a short summary of the key points of the consultation to help participants keep track of new contributions. Practitioners, researchers and representatives of organisations that have a particular interest in any aspect of youth well-being and youth participation. Young people themselves, who want to have a say about what matters most to them. The principal objective of the consultation is to gather knowledge from as wide a range of informed people as possible about how to better understand the needs of young people and how to implement policy and other actions that can improve their lives. The consultation is designed so that it can evolve, with new questions and ideas emerging as more people contribute. However, the consultation will open on Monday with a number of starting questions, in the following areas. First, what does “youth well-being” really mean? Or in other words, what are the key drivers for their well-being and how do the needs of the under-25s differ from the general population in key well-being policy areas (health, employment, personal safety, etc.)? What resources can we use to get an accurate picture of young people’s well-being and where do data gaps exist? Second, what actions can we take to make young people’s lives better? What do we know works and what lessons can we learn from successful examples of policy and grassroots initiatives? What are good case studies and where do we need better approaches? How can we move from rhetoric to making a real impact when implementing the Sustainable Development Agenda and other commitments? Third, how can we improve the process of designing and implementing effective policy for young people? How can we ensure that young people’s voices are heard in the policy process, and what changes are needed in government mind-sets and institutions to improve the lives and opportunities of young people? What will be the outcomes of the consultation? We intend for the findings of the consultation to be presented at the OECD Forum in Paris in June, and for a report of the consultation to be made widely available for policy makers, foundations, civil society organisations and others in the Wikiprogress network. And to all Prog Blog readers, we hope that you will join us in this exciting experiment! Sign up now, and we look forward to your contributions in the coming weeks.